A successful blogger is that who knows the importance of a mobile site. 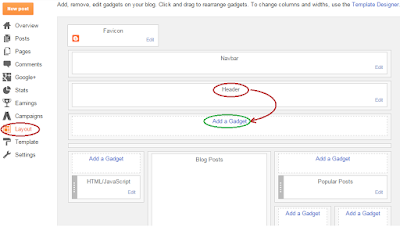 As blogger has no gadgets for mobile site therefore you have to add them manually. Basic things which are important for a mobile site are a search box, a related posts widget and a menu. If your mobile site has these gadget then your site is ready for mobiles. In this post I will share my first mobile menu for blogger and show you how to add it in your blog's mobile site. 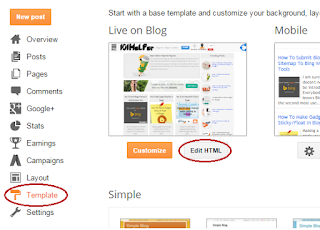 So follow below mentioned steps to add this menu in your blog you can see a live demo of this menu above. 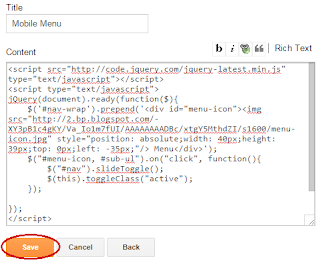 How To Add Stylish Jquery Menu In Blogger Mobile Site? 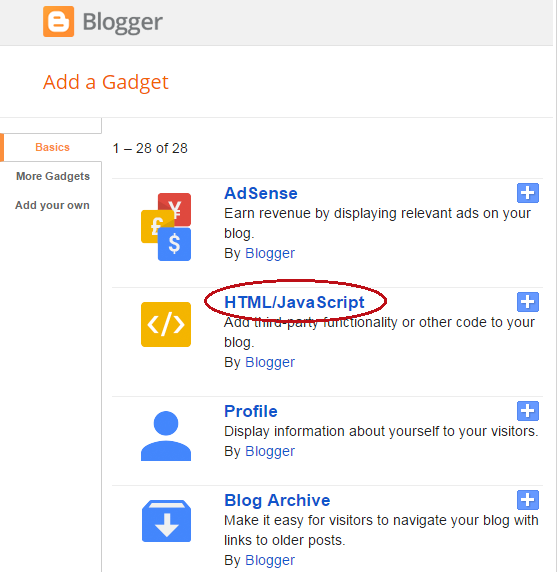 Step 1: Go to blogger dashboard > layout and click on "add a gadget" below header. 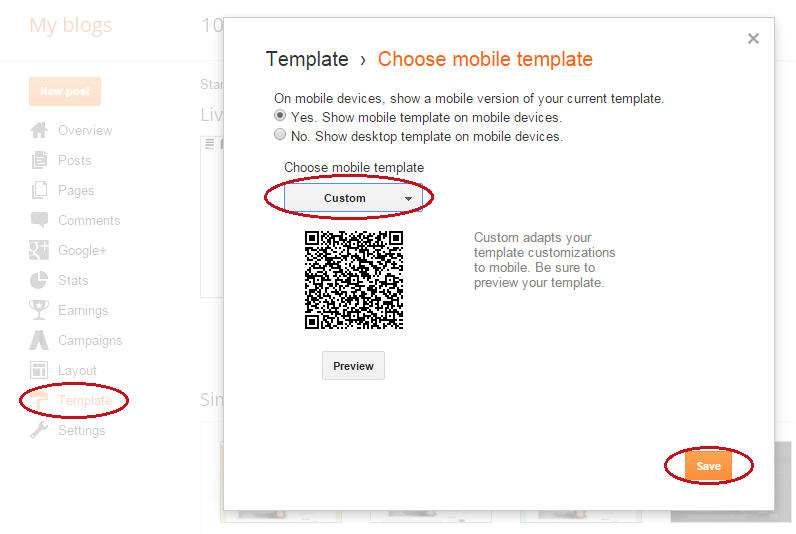 Step 2: Give a title to your gadget e.g mobile menu. 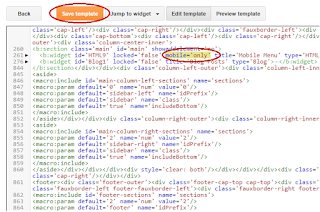 Because it will help you in finding this gadget in your template in coming up steps. Tip: Click inside the code container and use Ctrl+A to select code and Ctrl+C to copy it! Step 5: Click on save, go to template and click on Edit Html. Step 6: Click inside the code and search for the name which you have given to your menu in step 2. I am searching for Mobile Menu as I've given it to my gadget. You can also use jump this gadget to jump to your widget but its possible only if you have ID of your widget. 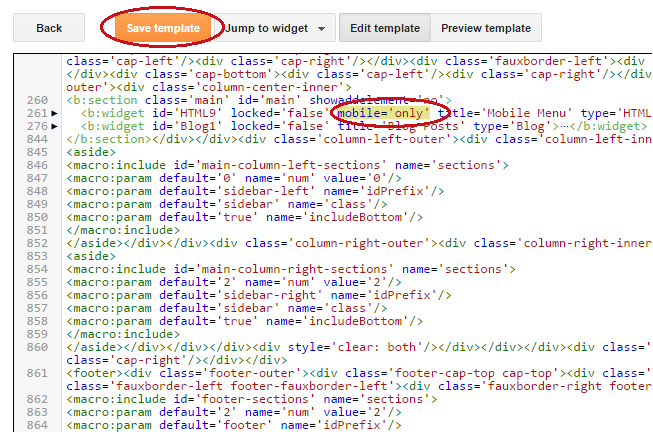 Step 7: Type mobile='only' beside locked='false' and click on save template. Thats it! you are done. Now open your blog in your phone and try your menu. Why A Website And Mobile Site Is Important? 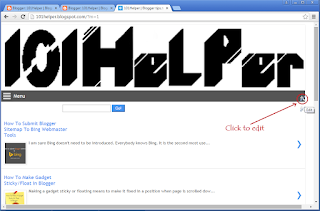 Link/Text Only Related Posts Widget For Blogger Mobile Site. 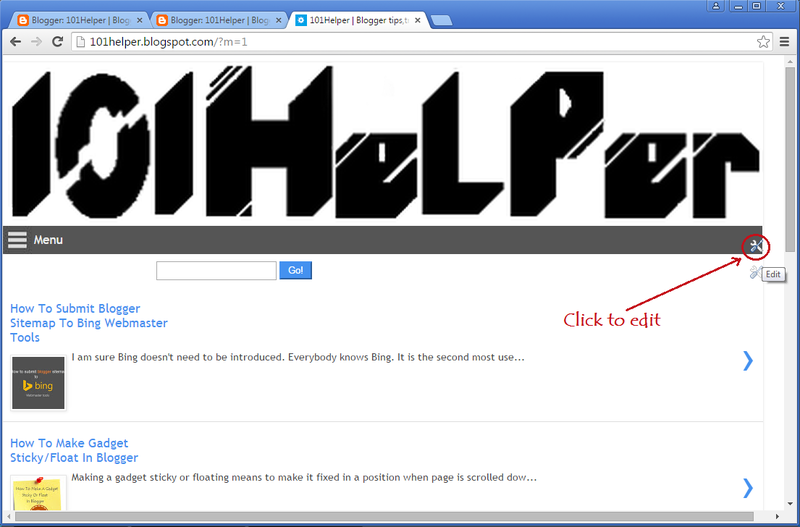 How To Earn Money With Chitika In Blogger. How To Edit This Menu? 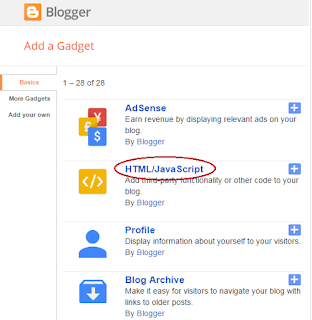 You can't edit this gadget as you do others because after adding mobile='only' you have commanded blogger to show this gadget in your blog's mobile view only so if you check your layout now you will not see any gadget below header as it is shifted to mobile site. So to edit this menu and add your custom tabs in it follow below steps. You can change its color font, font-size and every thing if you know CSS but I recommend you to use it as it is. Do only slight changes like font color or font family. The important thing which needs customization is adding new tabs and links or removing existing tabs. So read below to add or remove any tab. Important Note: Add or remove a tab between <ul> id="nav" style="display: none;"> and </ul> in the given code. I hope you like this post and this menu is working properly in your blog if not please ask me by leaving a comment below. Share this post with others. Follow and subscribe for more blogger gadgets, menus, tutorials etc. Thanks for visiting 101Helper. 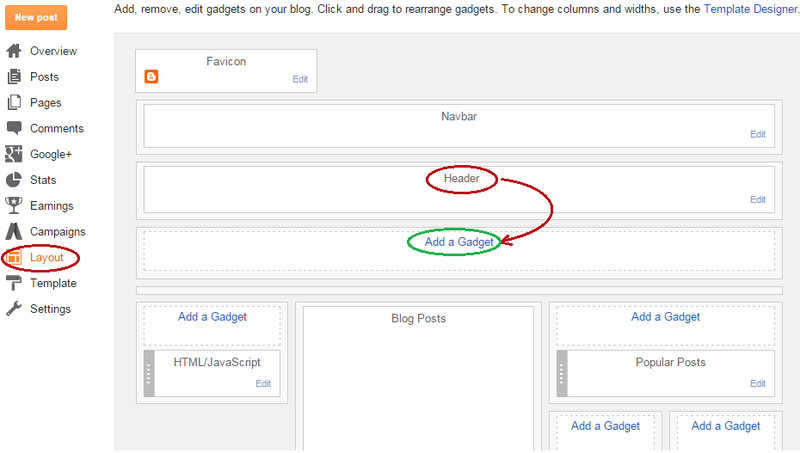 Search Tags: Mobile Menu For Blogger,Jquery menu for mobile site,Blogger mobile view gadgets,Blogger slide down menu for mobile site,101helper menus for blogger blogs,iphone mobile menu.